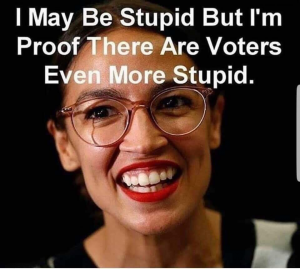 In 2016, AOC was working as a bartender in New York City. She'd never dreamed of running for Congress. It was her brother who entered her into a contest being held by a group called the Justice Democrats, headed by the above-named people. It was quite literally a casting call. Out of 10,000 entries, AOC won the role to play the Congresswoman from New York's 14th District. They make no secret of this.